Valentine's Day is your chance to show someone special how much you love them. 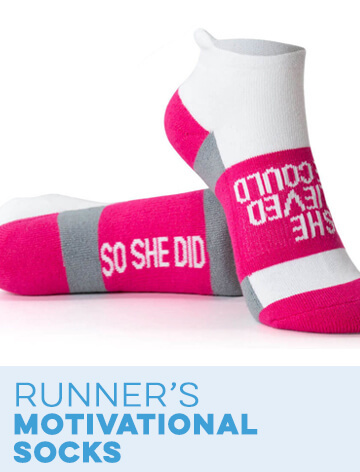 What better way than with a gift based on running, the sport they love? 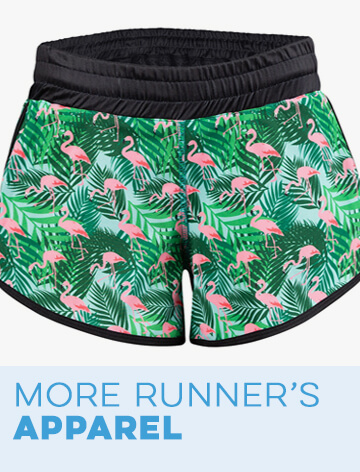 Explore Gone For a Run's thoughtfully selected assortment of Valentine's Day gifts for runners that your valentine is sure to appreciate. Commemorate the day with something useful and enduring. Hearts are the theme for this love-filled holiday. 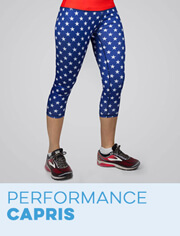 Find hearts all over our clothing, accessories, home décor and more. 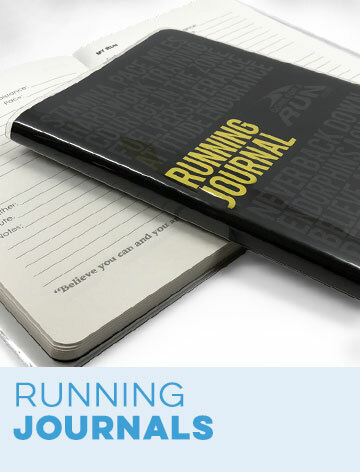 See our full selection of gift ideas that are artistically adorned with love and a love for running. 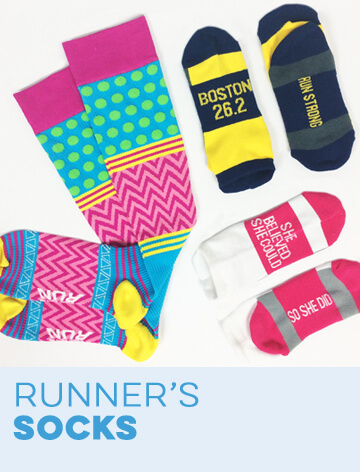 Browse heart-covered, super-soft runner's T-shirts, fleece sweatshirts, running shorts and knee-high socks. 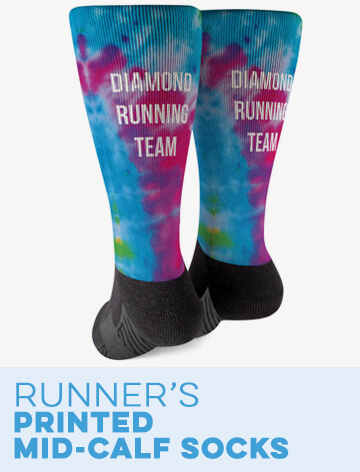 There are heart-patterned leggings, hats, headbands, tank tops, long-sleeved shirts, lounge pants and even runner's slipper socks. For your home, more hearts embellish stone coasters, coffee and travel mugs, wine and beer glasses, insulated tumblers and water bottles. Love-filled themes beautify wall art, throw pillows, fleece blankets and beach towels. 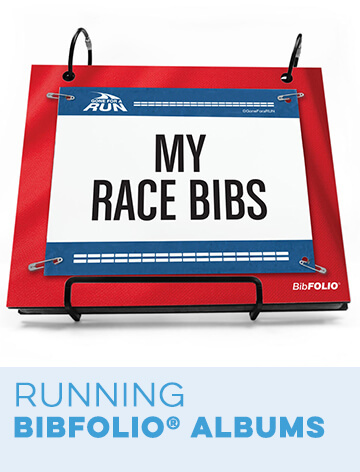 Specialty race medal displays and race bib displays and albums, plus dedicated runner photo frames all offer a personalized stage for your runner's accomplishments. 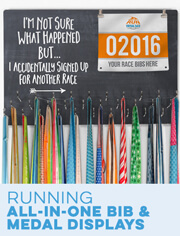 Show that you "Love To Run" with a phone case, car magnet or vinyl car decal that says so. However, nothing says Valentine's Day more than jewelry. 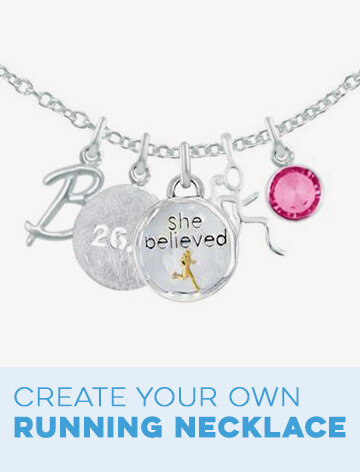 Our running jewelry collection includes inspirational bracelets like "She Believed She Could So She Did" and "Live What You Love" and expresses your loving encouragement. Find an assortment of sterling silver and 14K gold vermeil necklaces, earrings and bracelets, all of which proclaim a runner's passion. You can give that extra special touch by designing your own bangle running bracelet with a variety of charms. Many of these items offer additional personalization with your own text to allow you to include your own message of love. 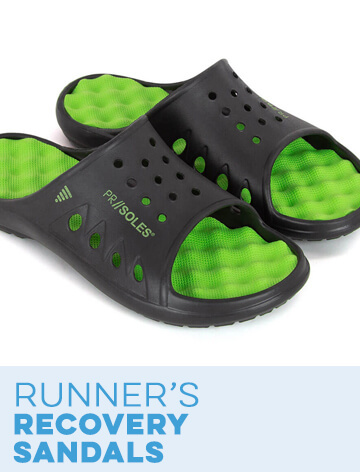 Explore the great value in our RunBox gift sets for runner guys, runner dads, runner girls, marathoners and more. Flowers and candy don't last so give a gift that will show your love for years to come.